It has to be in the genes. Good looks and musical talent seem to run in the Carson family. 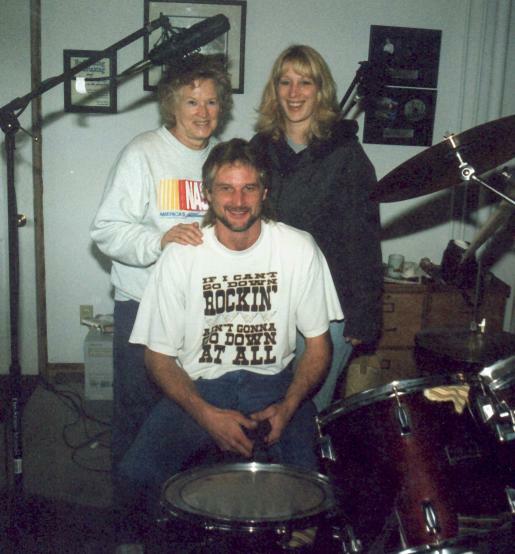 Mike has been playing the drums since he was a kid beating the heck out of his mom's canners and washtubs. His dad gave him a choice between a car and a drum set. Mare was relieved to get her kitchen hardware back as Mike drove the neighbors crazy with his new drum set. The car had to wait. A boy has got to have his priorities. Recently Mike has taken up the guitar and singing. Now he is wowing audiences with his rebellious renditions of all sorts of country tunage.